THURSDAY, AUGUST 1 AT 7:30 PM – Rock icons REO Speedwagon will headline the Main Stage on opening night of the Fair! REO Speedwagon has sold more than 40 million albums worldwide since their 1971 debut album, and continues to be a popular live act today. FRIDAY, AUGUST 2 AT 7:30 PM - Indie pop sensations Fitz and the Tantrums will have the Main Stage crowd dancing on Friday, August 2! The band is riding a wave of success following smash singles "The Walker," "Out Of My League" and "HandClap" and has earned a reputation of being a must-see live act. 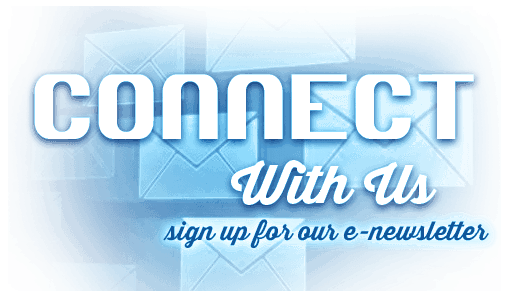 SATURDAY, AUGUST 3 AT 7:30 PM – With five No. 1 singles to his name, Brett Eldredge has been a mainstay on the country charts since his debut album was released in 2013. He continues to be one of country music's hottest acts. SUNDAY, AUGUST 4 AT 7:00 PM – The Happy Together Tour returns to the Main Stage as part of its Tenth Anniversary Tour on Sunday, August 4 at 7 p.m. This year’s tour features The Turtles, Chuck Negron formerly of Three Dog Night, Gary Puckett & The Union Gap, The Buckinghams, The Classics IV and The Cowsills. MONDAY, AUGUST 5 AT 7:00 PM – Christian-pop duo for King & Country are back at the Main Stage on Monday, Aug. 5, following an inspiring performance at the 2017 Wisconsin State Fair. TUESDAY, AUGUST 6 AT 7:00 PM – KIDZ BOP World Tour 2019 will bring the family event of the summer to the Main Stage on Tuesday, August 6 at 7 p.m. The concert features kid-friendly versions of today’s biggest pop music hits sung by kids, for kids. THURSDAY, AUGUST 8 AT 7:30 PM – Ventriloquist and comedian Jeff Dunham has become one of North America’s top-grossing stand-up acts. Join Jeff and his entire cast of puppet characters LIVE at the Main Stage! FRIDAY, AUGUST 9 AT 7:30 PM - Country band Old Dominion burst onto the country music scene in 2015 with their smash single “Break Up With Him”, but members of the group had found success long before then, penning hit songs for Kenny Chesney, Luke Bryan, The Band Perry and many more. Old Dominion has since established themselves as one of country music’s biggest acts, recently headlining their first-ever world tour and winning Vocal Group of the Year at the 2018 American Country Awards. SATURDAY, AUGUST 10 AT 7:30 PM – Funk/soul legends The Isley Brothers first found success in 1959 with “Shout”, and continued to climb the charts with hits “Twist and Shout” and the No. 1 single “It’s Your Thing”. They'll be joined by the Grammy-winning Commodores, the group behind the classics “Easy”, “Three Times a Lady” and “Brick House”. SUNDAY, AUGUST 11 AT 6 PM - Grammy-winning singer/songwriter Melissa Etheridge will perform at the Main Stage on closing night of the Fair! Etheridge’s roots rock has been championed by both critics and fans for more than 30 years. Don't miss your chance to hear her timeless hits in person! 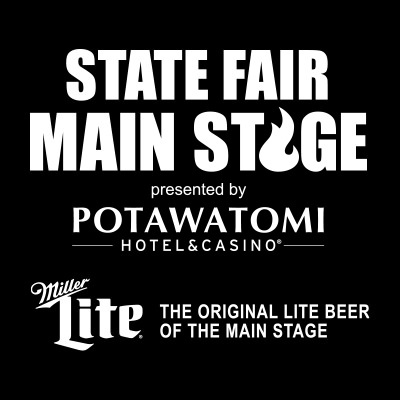 The State Fair Main Stage presented by Potawatomi Hotel & Casino features a diverse lineup of live entertainment, including nationally-touring headliners each night of the Fair. The lineup offers everything from country to hip-hop, contemporary Christian to classic rock and more! Please Note: ADA Ramp is General Admission. The State Fair Main Stage presented by Potawatomi Hotel & Casino features a diverse lineup of live entertainment, including nationally-touring headliners each night of the Fair. The lineup offers everything from country to hip-hop, contemporary Christian to classic rock and more! Main Stage headliners for the 2019 Wisconsin State Fair presented by U.S. Cellular will be announced soon. Please Note: ADA Ramp is General Admission. Most buildings at the Fair are open 9 am – 10 pm daily.